Aspiring Japanese actress on the street in Harajuku wearing a peach and yellow retro inspired outfit with a leather jacket, dress, platform shoes, and smiley face bag. 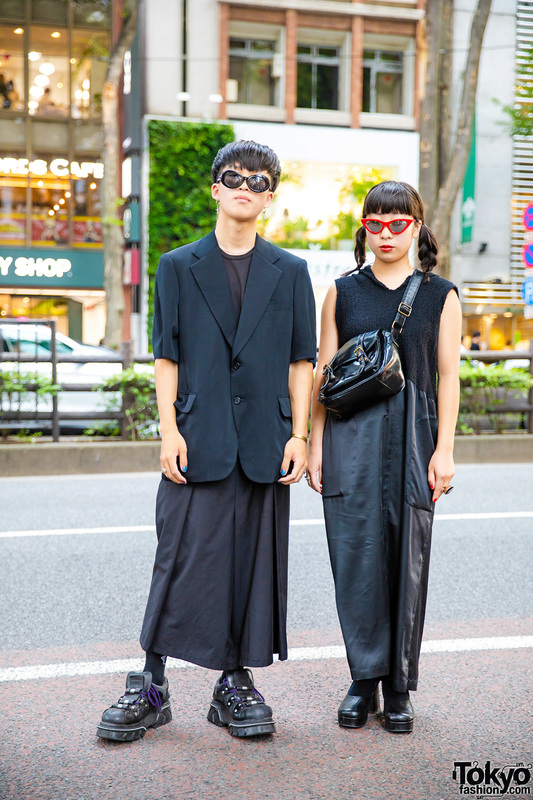 Harajuku guy sporting a fringed coat over a dress layered with a top, two tone pants, white sneakers, a canvas tote bag, an orange floppy hat and a plush muffler. 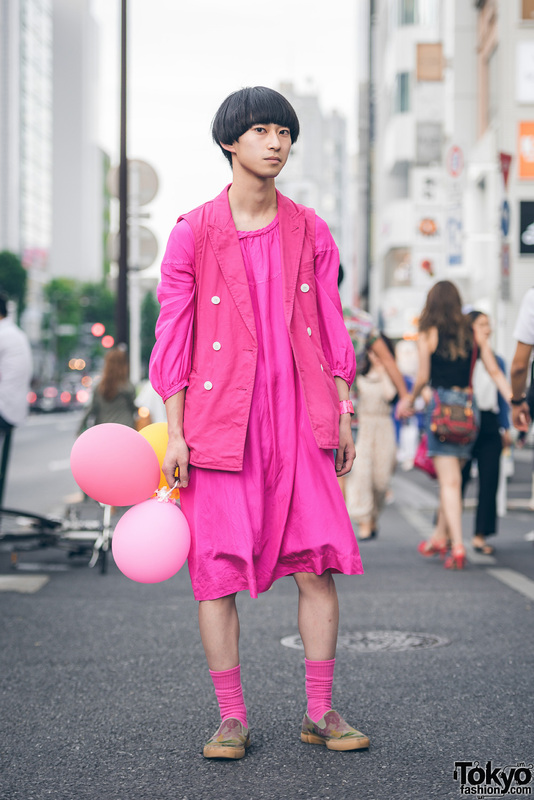 Harajuku guy in all pink genderless kei street style wearing vest over dress, loafers and pink bangle. 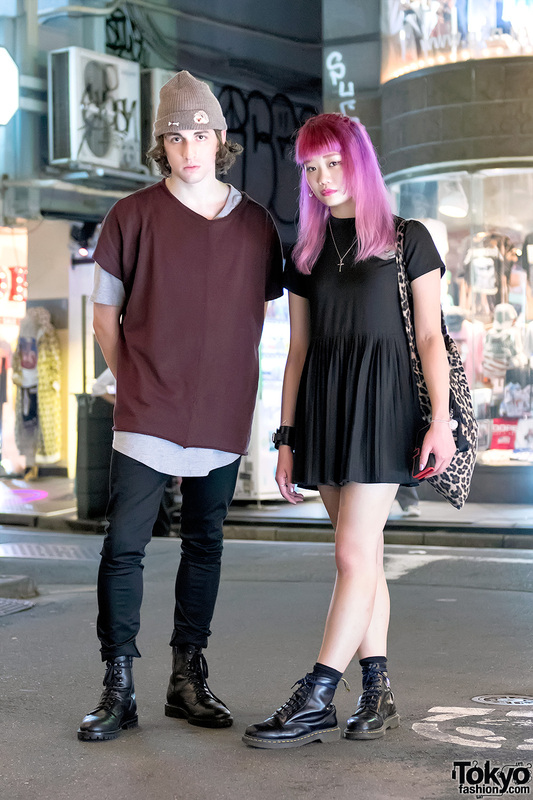 American electronic musician Porter Robinson and Japanese street fashion model Elleanor on the street in Harajuku after dark.